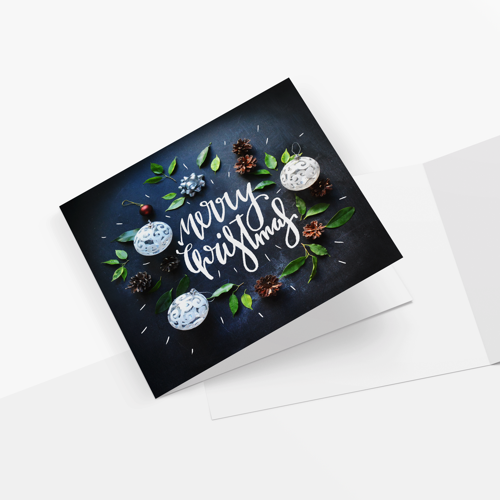 It isn't called the season's greetings for nothing, so send a personal card fit for the festivities to your friends, family, or customers with Helloprint's Christmas Cards! Easily print your most thoughtful moments on stunning cards that're sure to cheer up anyone's holiday blues. All it takes is a few clicks and you can make someone's day as soon as they arrive! Good things come in small packages after all! Please note, the unfolded cards do not come with a crease or fold. 4 What card finish would you like? Choose the material for your postcards. You can write on the back, as well as inside the folded postcards, since only the exterior is laminated, the interior is not. *Note, it is not possible to print white colours on kraftpaper. The matching envelopes are made from a premium white, 100 grams woodfree offset - material. For your sealing convenience we've gummed the envelopes. Save the file for folded products as spreads. The sides of folded products have to be laid out in a file next to each other. Make a little folded model (dummy) to check how the pages have to be. Make sure the alignment and the sequence of the sides are recognizable. Make sure the alignment and the sequence of the sides are recognizable (we do not check your document in terms of content). A wedding invitation is a paper card which can be designed completely according to your wishes, and is available in various sizes and types of paper. 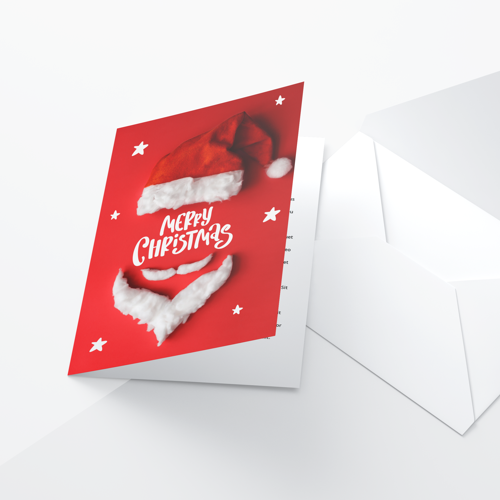 For the delivery of your christmas cards we use multiple carriers. Because of the highest reliability, in most cases we use UPS or DPD. 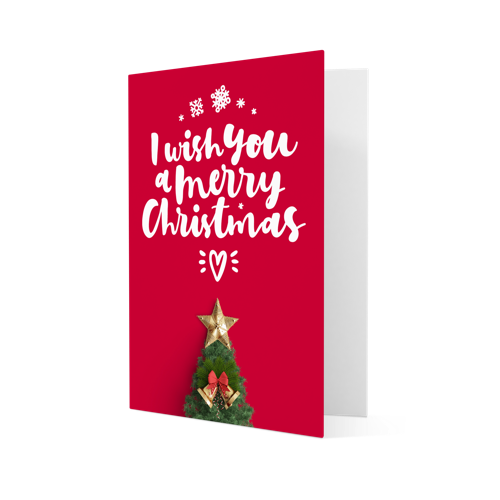 The christmas cards that is chosen in most cases can be selected via our website. 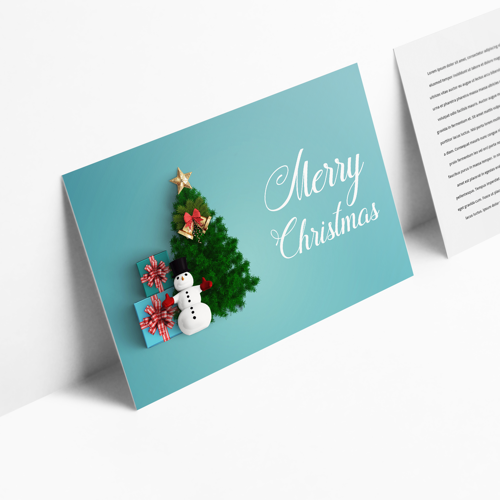 Will my Christmas cards be printed on both sides? 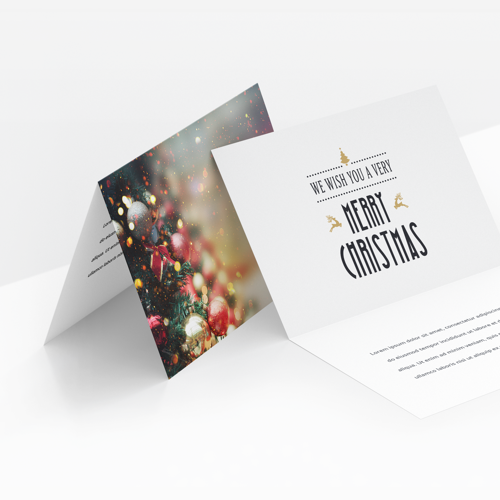 Yes, your Christmas cards are being printed on both sides. Note: you have to supply us with files for both sides. 290gr pearl: choose pearl paper if you want your business cards to have a real glamour look. The shimmering effect of the cards fits perfectly. 285 gsm sulfate paperboard: This paper combines clear white paper with robustness of carton. 285 GSM artboard + high grade UV varnish: This paper combines clear white paper with the robustness of carton. The UV varnish layer protects the paper and adds a shiny coating which results in a beautifull and profesionnal look.